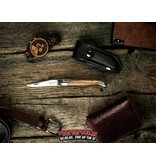 This Laguiole pocket knife has the classic French design with a zebrano wood handle. 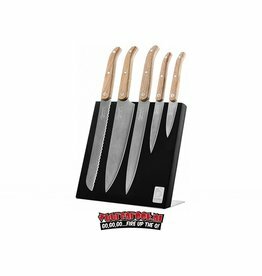 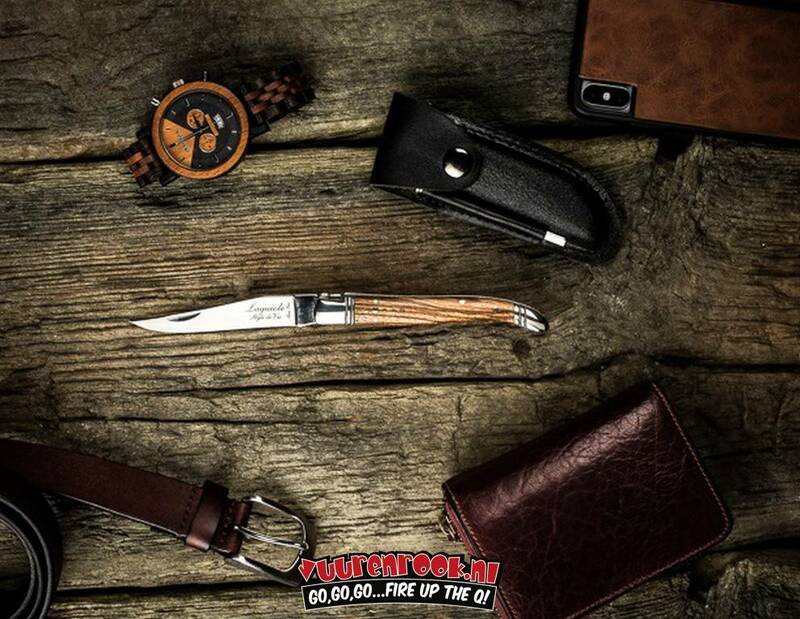 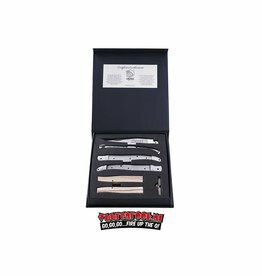 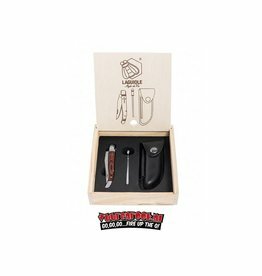 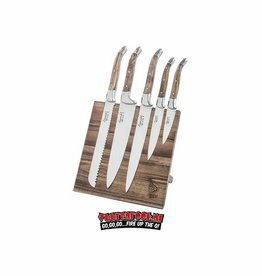 A fantastic gift to give (or to receive) because this set consists of the pocket knife, a handy small sharpening steel and a leather case. 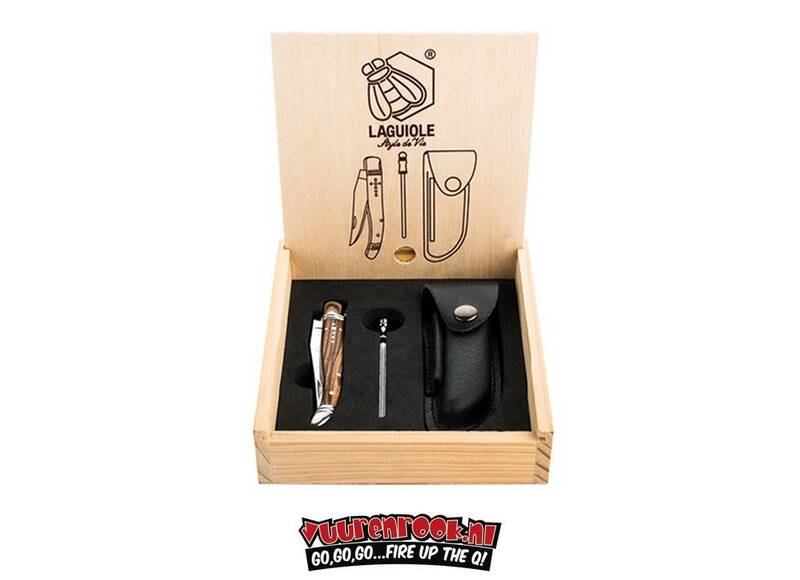 In addition, the set comes in a wooden gift box.